When Bill Herald ('76) chose to designate a portion of his estate to Emory & Henry College, he did so because he wanted to help others as he had been helped as a student. "The opportunity for me to receive a four-year degree hinged to a large extent on the kindness of others. Loans, grants, and scholarships allowed me to complete my undergraduate work, and that in turn led to career opportunities for me." 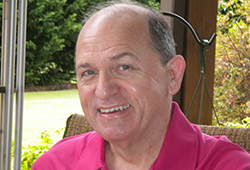 A successful certified public accountant and certified specialist in estate planning with his own firm in Atlanta, Ga., Bill is a native of Glade Spring, Va., and has always maintained a fondness for his time at the College. Over the years, Bill's devotion to his alma mater has been expressed through faithful, annual support. Now, Bill has taken the next step by including the College in his will. Bill says, "I look at estate gifts as long-term, 'capital' contributions while annual gifts are needed for everyday, ongoing operational assistance." As Bill can attest, a charitable bequest is an easy way to support the College while leaving a legacy. The benefits of a bequest are numerous: it costs you nothing today; it is free of federal estate taxes; it can be changed if necessary; and you can still benefit heirs with specific gifts. By notifying the College of his plans, Bill has joined the College's Society of 1836. The Society, established by the Board of Trustees in 1994, honors alumni and friends who have taken measures to provide for the future of the institution through their estates. Bill says, "Giving to Emory & Henry gives me a sense of accomplishment and a feeling of contentment as I am doing what I feel is the right thing to do."